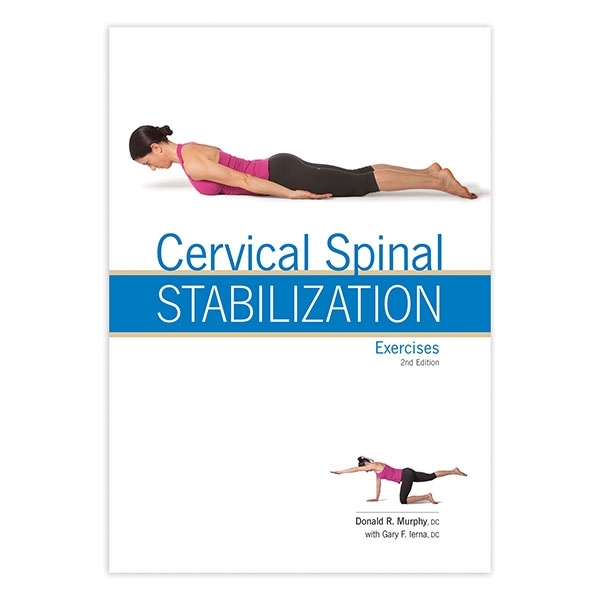 This patient booklet demonstrates nearly 30 cervical stabilization exercises for home exercise programs, reinforced by step-by-step instructions and images. Exercises are separated into sections: Oculomotor, Hanging Head (Isometric and Isotonic), Neck Ball (Isometric and Isotonic), Cervical Stabilization and Postural exercises. Second edition features new and updated exercises and full-color images. Written by Donald Murphy, DC, and Gary Ierna, DC. Illustrated. Softcover; 28 pages. 2nd ed.